A mechanic without our decades of specialized experience may diagnose your vehicle's problem incorrectly and tell you that you need a new transmission, when in reality, your car only needed a simple repair, such as a fuse, a relay, a cable, or a loose electrical connection. It could even be an external sensor that needs adjusting. For more info, visit our Newtown PA transmission repair page. Save yourself a lot of time, trouble and expense by getting a correct diagnoses right from the beginning, along with expert care, reasonable prices, a professional and highly trained staff, and a name you can trust. If you need a Newtown PA transmission repair shop, look no further! We look forward to adding you to our long line of happy customers! At Ryan's Auto Repair in Newtown PA you can feel confident that your diagnoses will be accurate. Our certified technicians will identify whether you have an external minor repair or an internal repair. Transmission repair Newtown PA is often times referred to in several different ways such as rebuilds, overhauls, reconstructions, re-manufactured, etc. Whatever the term, our job is to get your car back on the road. Whether its replacing a solenoid or completely rebuilding a transmission, you can count on Ryan's Auto Repair in Newtown PA to get it done right the first time! Why Ryan's Auto for Transmission Repair Newtown PA? Ryan's Auto Repair specializes in repairing your broken transmission. We take pride in all of our transmission repairs and reassemble them with genuine OEM parts or better. With over 25 years of combined transmission repair experience; transmission repairing has simply become second nature to us. Ryan's Auto Repair in Newtown PA can easily handle even the most intricate transmissions from any car or truck. Don't take your car to just any shop in Newtown PA for transmission repair. When you are in need of Newtown PAtransmission repair, why bring your car to the experts at Ryan's Auto Repair? 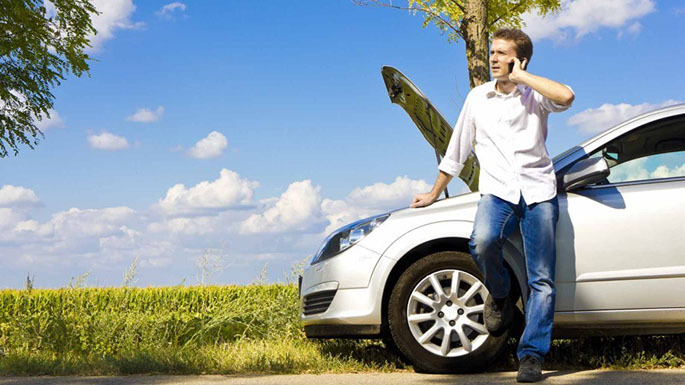 When you need transmission repairs in Newtown PA you need to take it to a specialist, not a general mechanic. We have the tools and experience necessary to get the job done right!